Where you grow up has a direct impact on how much you’ll earn as an adult, your odds of going to college, and how likely you are to become a single parent. And the more of your childhood you spend in a good area — as measured by the outcomes of other kids living there — the better off your own future outcomes are likely to be. These were a few of the findings of a new study of neighborhoods’ impact on upward mobility. Authors Raj Chetty and Nathaniel Hendren, both economists at Harvard, had previously found substantial differences in rates of upward mobility among different areas of the United States. In the new study, they analyzed how neighborhoods affect people’s outcomes by looking at families who had moved. 5 million children whose families moved across counties between 1996 and 2012. They found that each year spent in a “better” or “worse” area affected their income and other outcomes as adults. Consider a place in which children of low-income families earn an average of $23,000 per year in young adulthood, versus a place in which those same kids average $29,000. Children who moved from the first to the second place at the age of 9 or 10 had annual incomes of roughly $26,000 as adults — around half the difference between the two places. 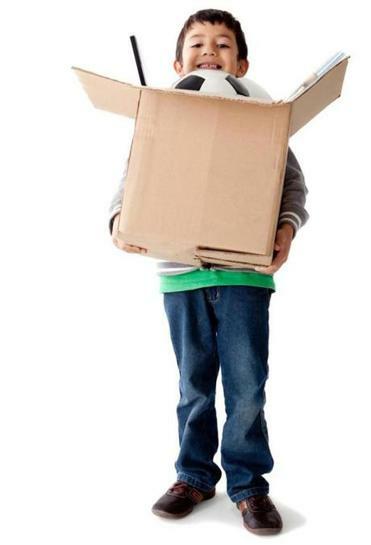 Children who moved at later ages saw smaller improvements compared to kids who moved when they were younger. The researchers identified five characteristics of places that seem to improve upward mobility. Compared to surrounding areas, they have less segregation by income and race, lower levels of income inequality, better schools, lower violent crime rates, and a larger share of two-parent households. Some Mass. counties contribute to income mobility, while others hinder it, Harvard researchers found. “If you help families move to a better place, we found that not only the current generation [of children] benefits, but that those effects will ultimately help their children as well,” Chetty says. While moving families may not always be feasible, policies that reduce segregation and concentrated poverty and improve public schools may also help to improve mobility, the authors write.